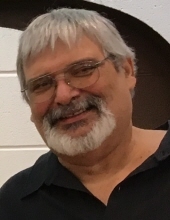 Peter M. Germani III, 59 years, of Northampton, died Wednesday January 2nd, 2019 at home, after fighting a year long battle with cancer. He was the husband of Rebecca J. (Moll) Germani with whom he celebrated 24 years of marriage this month. Born in Allentown, he was the son of Peter M., II and Vilma (Kish) Germani of Macungie. He was employed as a superintendent for a construction company. Surviving with his wife and parents are a son Peter M. IV, daughters Emily A. and Cassidy, brothers Joe and his wife Nancy and Jeffrey and his wife Kim, and a sister Loretta, wife of Tony Lupi. To plant a tree in memory of Peter M. Germani, III, please visit our Tribute Store. "Email Address" would like to share the life celebration of Peter M. Germani, III. Click on the "link" to go to share a favorite memory or leave a condolence message for the family.